Remember several months back when I went on the local NBC affiliate to showcase how games can be educational and fun? It’s something we are passionate about because we know that not every subject is for everyone and it can be challenging to be engaged in a class that a student doesn’t enjoy. Over the past couple years, we’ve featured companies who have taken their educational background and channeled it into ways to make the process of learning less grueling. 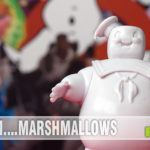 Genius Games with their games and kids’ science books, Logic Roots and Talkplaces’ Plyt for math are a few examples that we’ve featured that place an emphasis on the educational aspect of games. Day in and day out, teachers are trying to find ways to engage and entertain while educating. That doesn’t mean they don’t just want to have fun, too. That’s where RoosterFin Games enters the picture. 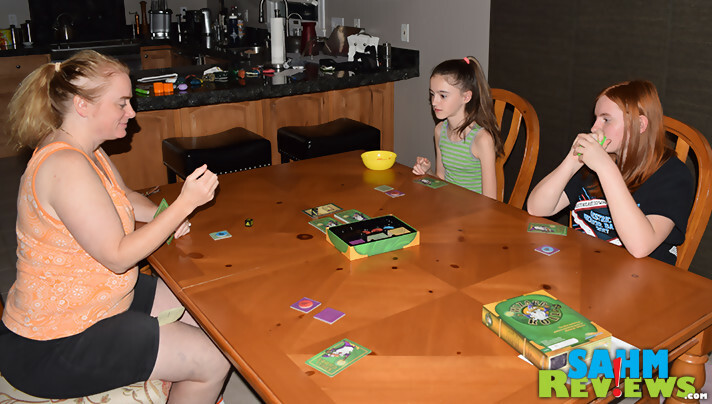 Their family board games are created by teachers and are designed to learn as well as fun. 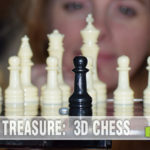 Games help develop strategic thinking, cooperation and even interpersonal skills in addition to whatever targeted skills the designers might have in mind. 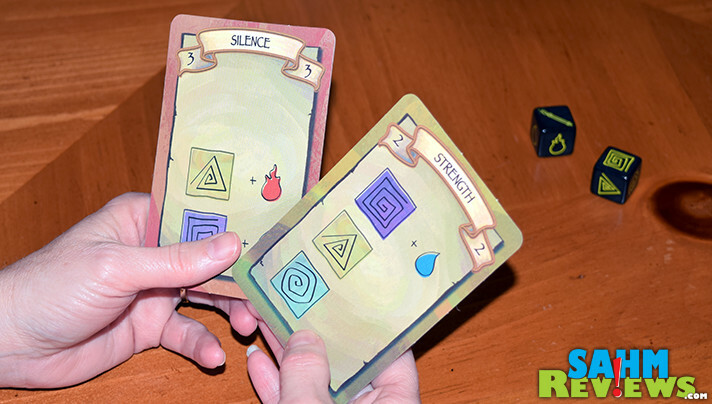 One of their latest releases is Wizard Roll, a game about crafting spells through dice rolls and card collection. As I started to play, I asked myself, “What is this teacher trying to convey?” I looked over the box and realized the goal is pattern building! Games where you’re learning but don’t know you’re learning… genius. 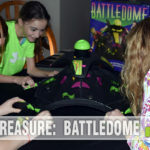 The box says it’s targeted at ages 7 and up, but honestly younger kids could even play if someone explained the rules. On a player’s turn, they roll the dice. 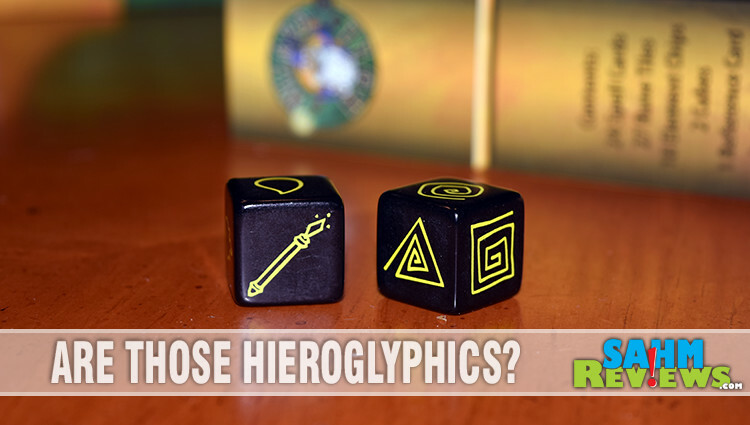 One die has equal odds of rolling one of the three available Rune Tiles (a triangle, a square and a circle). The other die has equal chances of rolling a Wand, Fire or Water symbol. From this point, there are only a couple choices of what to do. Check your spell card. If neither of the dice match an ingredient from your spell, then you must offer it to all of your opponents. Once you determine who needs either symbol, you award one of them the respective ingredient from the general supply. If no opponents need either symbol then your turn ends and play shifts to the next person. 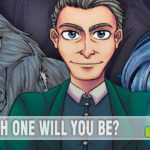 If either of the dice match a requirement for the spell, earn your choice of one of those items. But it isn’t as easy as grabbing anything you happen to roll! The Fire and Water pieces both accompany a rune in the spell and you’ll need to acquire that rune before you can get the related element. The points range from 2 to 5 and vary based on the number of requirements and difficulty of completion. 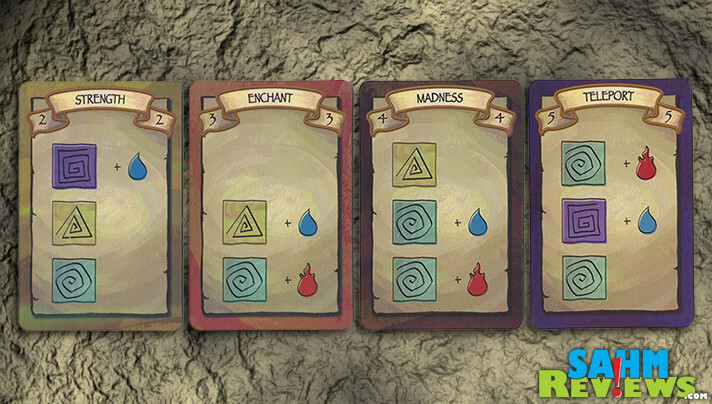 Cards with a difficulty level of 2 are easier to complete, usually needing three different tiles and 1 element. A card with a value of 3 may only depict two different runes with the addition of two different elements. 4 and 5 value card will likely have you seeking 5 different items or a duplicate of at least one. The goal is to be the first player to reach 7 points. Based on the potential card values, it’s obvious that it will take a minimum of two rounds to end the game and that will happen only if one person sweeps. Factor in the wand where someone could force you to lose one of your ingredients and you can see how it may not be as easy as it seems. 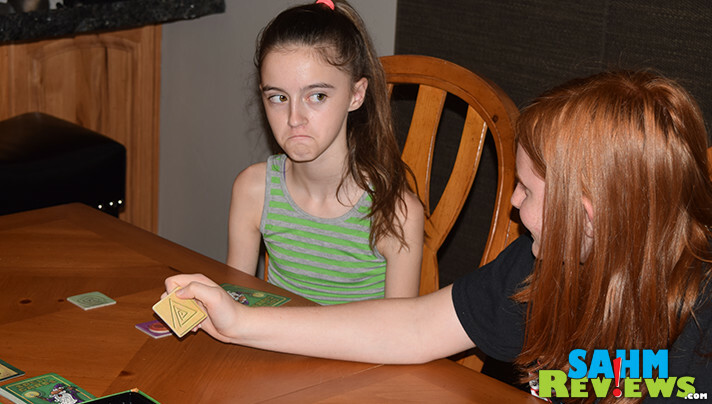 As soon as someone completes a spell on their turn, the round ends. 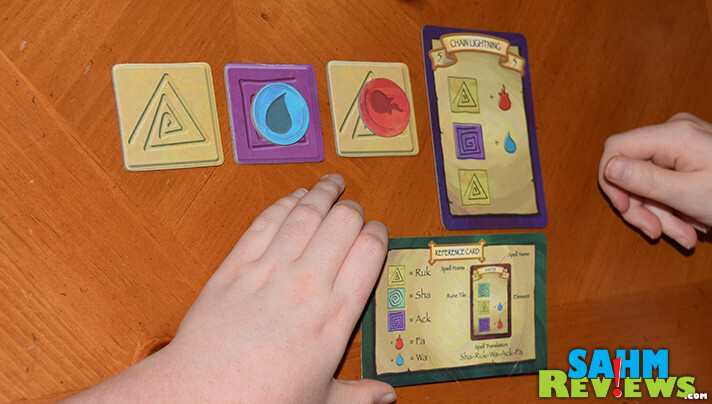 The player uses the reference card to announce their spell then is awarded the card. All remaining players return their spell cards to the discard pile and tiles and chips are returned to the box. Players continue this process until someone reaches 7 points! You can pick up a copy of Wizard Roll on Amazon or direct from their website for under $20! 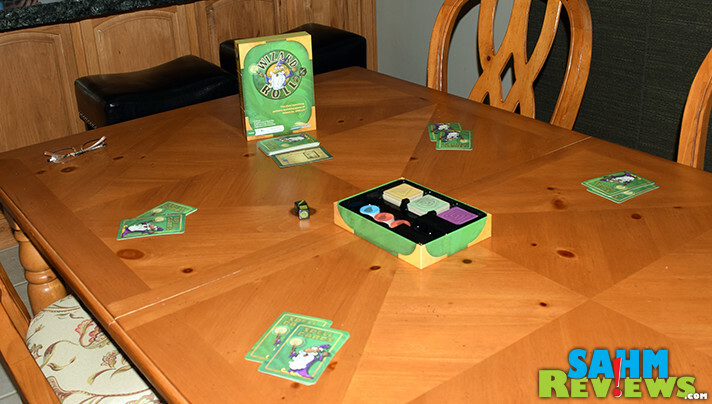 RoosterFin offers a variety of other games including Monkey Up (perfect for a monkey-themed party) as well as Rooster Race in our 2015 Holiday Gift Guide. 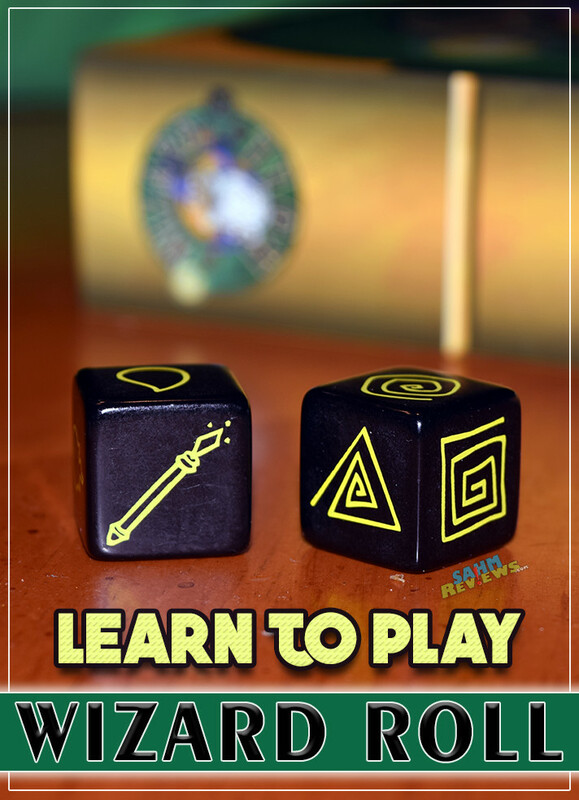 Visit their website to check out some of their party board games and other titles then zap your way over to their Facebook and Twitter channels for more game scoop and tips! If you’re looking for a reprieve from the end-of-the-summer chaos, this might be a good solution. In the meantime, enter to win a copy using the form below! I would have enjoyed Science more. I totally agree, Kim. I always felt like it would make more sense if presented in a hands-on format. Since experiments are so cost-prohibitive (at least in our schools), finding other ways to make it tactile would have been good. History also. Blech. I love math so much, thank you for everything! Bio or Chemistry game for sure! Definitely a game involving complex math problems like solving for x and stuff. I would’ve enjoyed history more. I’ve been playing Timeline with my husband and it’s been fun learning when in history events occurred. I would have enjoyed a history game, because I think I would have won it. As for helping me learn though, a biology game would be good because of all the memorization. Physics would also make a good game for knowing when to apply certain formulas to a problem. History was my nemesis so a game would have been a breath of fresh air. I would have enjoyed English more. I would have enjoyed chemistry a lot more if there were more challenges and games. I would have enjoyed any type of science made into a game. We did have 1or 2 game days and I remember enjoying them. The other days? I hated it.